Vladimir Putin launched the alignment of the Turkish Stream. 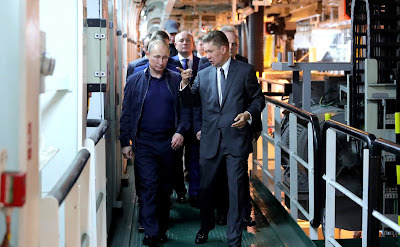 Putin.BLOG Energy Vladimir Putin launched the alignment of the Turkish Stream. 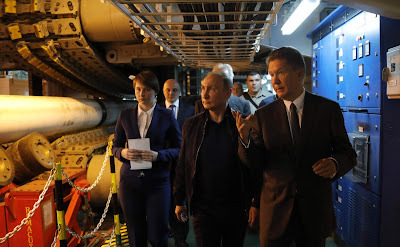 Vladimir Putin took part in a symbolic launch of the alignment of the shallow and deep-water sections of the Turkish Stream gas pipeline aboard the Pioneering Spirit heavy lift construction vessel. The President also took a tour of the ship and held a working meeting with Gazprom CEO Alexei Miller. The underwater gas pipeline will ensure safe and stable deliveries of natural gas to the Turkish market and to customers in southern and southeastern Europe. The annual planned capacity is 31.5 billion cubic meters. Pioneering Spirit, one of the world’s largest construction vessels, is capable of installing pipelines on the seabed. The ship can lay up to five kilometers of pipes per day at the depth of up to two kilometers. Arrival at Pioneering Spirit, one of the world’s largest construction vessels, capable of installing up to five kilometers of pipes per day at the depth of up to two kilometers. 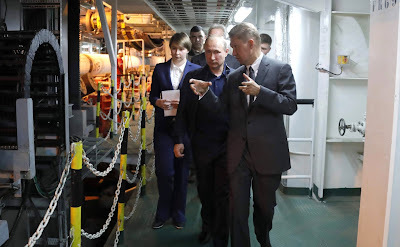 Vladimir Putin aboard the Pioneering Spirit construction vessel. 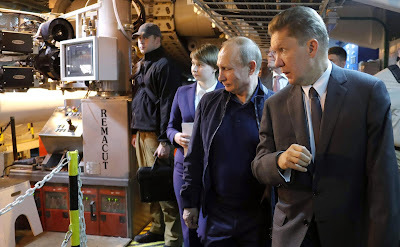 With Gazprom CEO Alexei Miller. 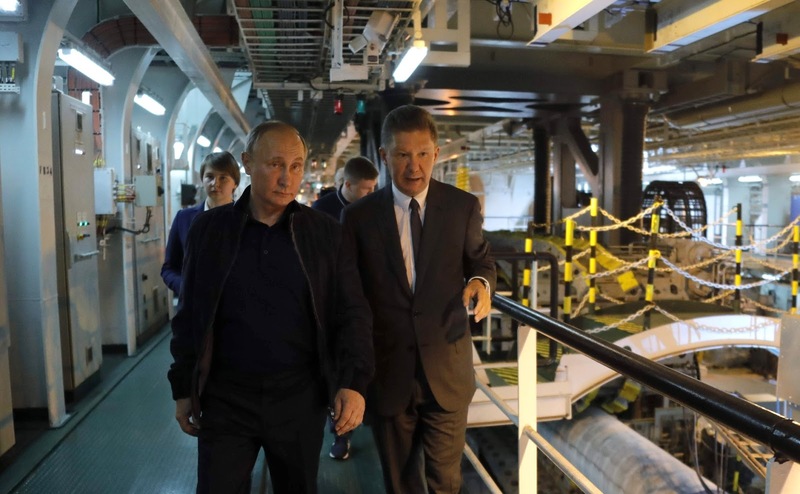 Russian President aboard the Pioneering Spirit construction vessel. With Gazprom CEO Alexei Miller. Russian President Vladimir Putin and Gazprom CEO Alexei Miller. President Putin aboard the Pioneering Spirit construction vessel. With Gazprom CEO Alexei Miller. 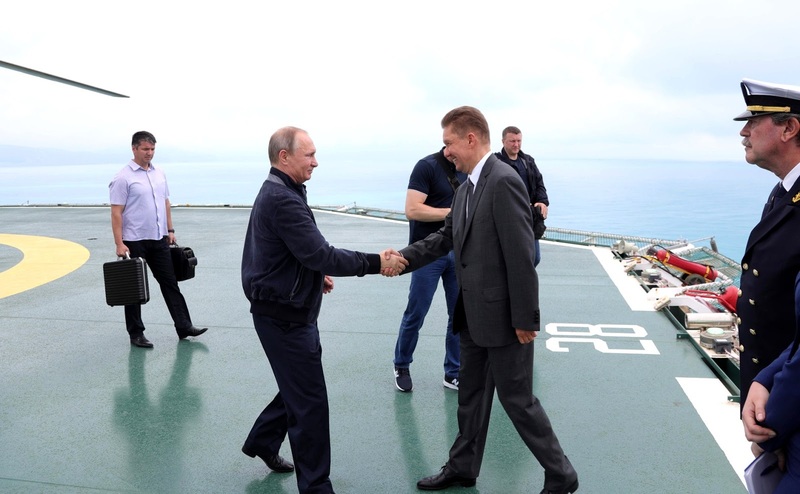 The President of the Russian Federation aboard the Pioneering Spirit construction vessel. With Gazprom CEO Alexei Miller. 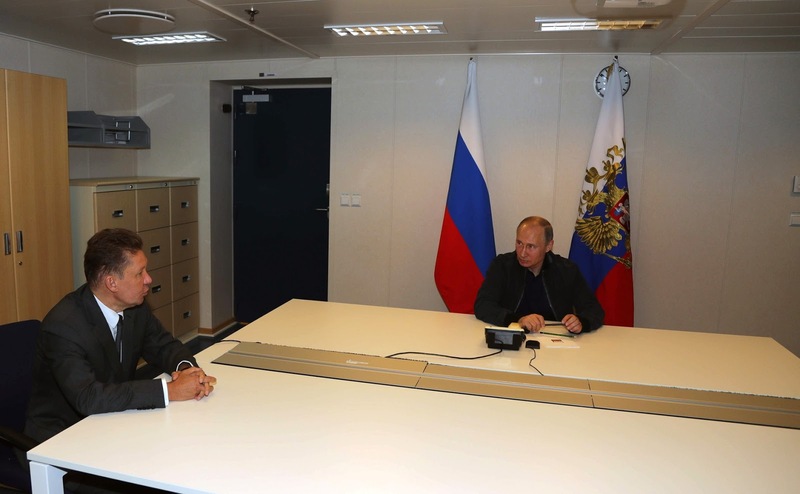 0 Comment to "Vladimir Putin launched the alignment of the Turkish Stream."